The modelling material used for Plasticine or Claymation stop-motion animation tends to soften under hot lights. At best this leads to more fingerprints showing on your models and at worst the models will refuse to hold their shape or collapse. Daylight may seem like the obvious answer but it can create problems. The sun will move across the sky during the time it takes to complete your animation and the result will be moving shadows cast by your models. Also, if there are clouds in the sky these may cause the brightness of the light to vary and cause a flickering effect on the finished animation. 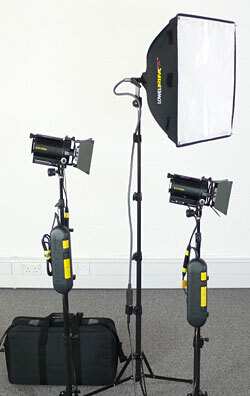 The ideal lighting would not reflect any heat onto your models, whilst being bright enough to do the job. Keeping the lamps well back would reduce any heat to a minimum but may result in casting a shadow of camera or animator onto the set.